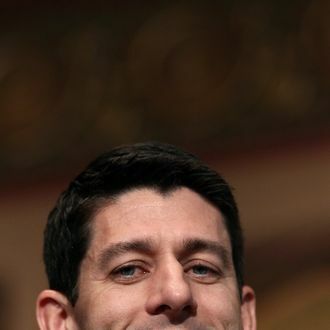 Yesterday, Ryan claimed that Ayn Rand’s philosophy “reduces human interactions down to mere contracts and it is antithetical to my worldview.” But in 2005, Ryan said, “The reason I got involved in public service, by and large, if I had to credit one thinker, one person, it would be Ayn Rand,” and in 2003, he claimed that he gave out copies of Atlas Shrugged as Christmas presents. And those two examples are really only the tip of the Rand-love iceberg. Is this how you impress Mitt Romney? By proving that you can flip-flop as egregiously as he can?